Kia ora, speakers and especially readers of Māori. 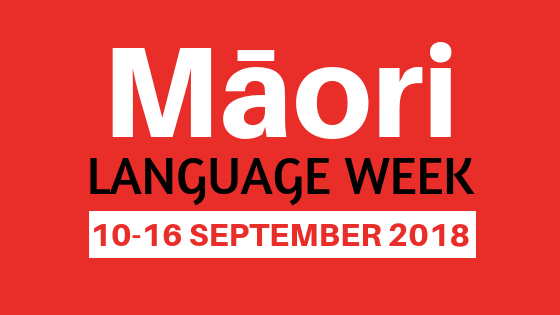 New Zealanders will celebrate 10-16 September as Māori Language Week (Te Wiki o te Reo Māori), part of a decades-long reversal of linguistic suppression worth learning more about. The Māori language was near extinction in the mid-20th century. By the 70s and early 80s a movement was underway that centered te reo Māori in efforts to reclaim Māori identity. This movement led to the passage of the Maori Language Act in 1987--making te reo Māori an official language of New Zealand--and to an upswell in spoken Māori and Māori-language publishing. We at NoveList are so here for cultural revitalization with its own literature--the best kind of revitalization. You can find our selection of Maori/English bilingual books with the search GN Bilingual materials – English/Maori. Though NoveList collects primarily works in English, the language of most of our users, we’d like to spread awareness of this week by highlighting recent Māori-authored additions to our catalog and sharing a NoveList search to find more books by Māori writers any week of the year. Give Robyn Kahukiwa’s picture books The Boy and the Dolphin and Nga Atua (Māori Gods) to younger kids. With colorful illustrations and either a feel-good animal friendship or awesome godly feats, these books introduce Māori protagonists and culture in a way that is appealing and accessible. Middle grade readers should check out Hene and the Burning Harbour, by a Māori writer well known for her short stories and young adult literature. Paula Morris contributes this second book in the New Zealand Girl series (think American Girl books minus dolls and other expensive merch), providing an authentic look into the life of a young Māori girl in the 1840s, a time when the language was thriving. Another YA author to check out is Whiti Hereaka. Her Bugs shows teen readers the unique challenges still facing many Māori their own age. 16-year-old Bugs navigates her final year in school, confronting both institutional racism and serious trouble at home with courage and grit. Adults can look forward to Tina Makereti’s The Imaginary Lives of James Pōneke, out this month. Readers will meet a Māori man who, as living exhibit, becomes both spectacle and spectator of Victorian London. Exploring the role of stories in developing one’s identity, James’ experience of cultural trauma, colonization, and self-reinvention parallels the long history of language loss and gradual, ongoing revival. Don’t have these books in your library, or want to find more great stuff by Māori writers? I retrieved the above titles using a simple author characteristic search (type AC “Maori” in the search bar) and sorting for “date newest,” as well as limiting by audience level using NoveList’s sidebar tools. You’ll also find Author’s Cultural Identity as a choice in the advanced search page. NoveList has lots of ways to search for books by culture, including setting, author cultural background, author nationality and more. If you’re not sure where to start, check out our search strategies. Looking to promote Māori Language Week in your library? LibraryAware has templates for Māori Language Week (and other New Zealand specific holidays) for our New Zealand libraries to use. Check out samples of those on our Pinterest page. Whether you’re fluent in te reo Māori or it’s Greek to you, we hope this post helped. Let us know! Love those LibraryAware templates and want to know more about them? Ask for a demo. 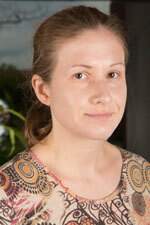 Lauren Kage is a Metadata Librarian II at NoveList.